Echoes of the past: The sites and sounds of prehistory Just after sunrise on a misty spring morning last year, my fellow acoustician at the University of Salford, Bruno Fazenda, and Rupert Till of the University of Huddersfield, UK, could be found wandering around Stonehenge popping balloons. This was not some bizarre pagan ritual. It was a serious attempt to capture the “impulse response” of the ancient southern English stone circle, and with it perhaps start to determine how Stonehenge might have sounded to our ancestors. An impulse response characterises all the paths taken by the sound between its source – in this case a popping balloon – and a microphone positioned a few metres away. It is simply a plot of the sound pressure at the microphone in the seconds after the pop. The first, strongest peak on the plot represents the sound that travelled directly from the source to the microphone. Later, smaller peaks indicate the arrival of reflections off the stones. The recording and plot shows the impulse response Bruno and Rupert measured with a microphone positioned at the centre of Stonehenge and a popping balloon at the edge of the circle. This impulse response represents an acoustic fingerprint of the stones. Back in the lab, it can be used to create a virtual rendition of any piece of music or speech as it would sound within the stone circle. All that is needed is an “anechoic” recording of the raw music or speech – a recording made in a reflection-free environment such as the open air or, better, a specialist anechoic chamber such as we have at Salford. The anechoic recording and the impulse response can then be combined using a mathematical operation called convolution. We’ve done with with a recording of drumming: here is the anechoic original, and here it is convolved with the measured impulse response of Stonehenge. The difference is easily appreciable: there is more reverberation or ringing to the drumming sound thanks to the reflections off the stones. What’s more, the tonal balance of the sound is entirely different: it has become much deeper, as if the treble has been turned down. Replica henge The popping of a balloon is not the standard or best way to measure an impulse response, but more sophisticated equipment was not allowed at Stonehenge. At a full-size replica of the monument at Maryhill, Washington state, however, Bruno and Rupert were able to use powerful loudspeakers and special test signals to get more accurate results. Maryhill also has the advantage that it is complete, whereas some of the stones of Stonehenge have fallen or disappeared over the years. That makes a noticeable difference to the drum sounds convolved with Maryhill’s impulse response: the more complete stone circle makes the sound echo for longer, with the extended reverberation being most noticeable after the last drum. 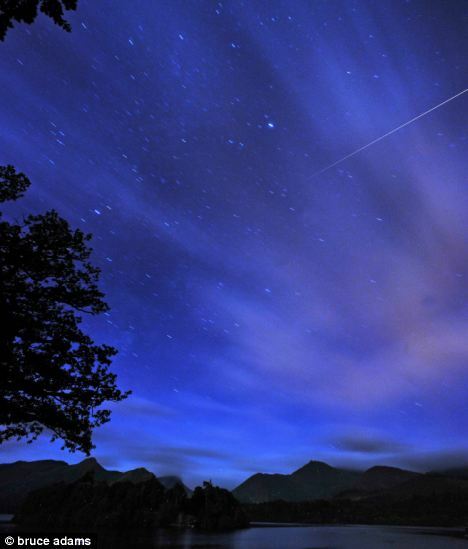 Over many decades, a sophisticated understanding of how to interpret impulse responses has been built up. For example, we now know how features within the impulse response, such as the time it takes for reverberations to die away, relate to peoples’ perceptions of the nature of the sound. The hope is that by applying that expertise to ancient monuments such as Stonehenge, we can better appreciate their acoustical effects on our ancestors –and perhaps begin to answer the question whether these effects were the product of accident or design. We also know that our ancestors appreciated their ability to exploit their environment to make sound early on. The discovery of three flutes in 2009 in a cave in south-west Germany, the best preserved of them made from a vulture’s wing bone and containing five finger holes, pushes the origins of music back to the middle Palaeolithic era, 40,000 years ago. Lithophones or rock gongs- stones that create a tone when hit- are found around the world. A cave at Fieux à Miers in the Midi-Pyrénées region of the south of France contains a 2-metre-tall feature which resonates like a gong when struck. Recalcified fractures on the lithophone indicating where it was struck can be dated back to the upper Palaeolithic, around 20,000 years ago (Oxford Journal of Archaeology, vol 4, p 31). Outdoor examples include Kupgal Hill in Karnataka state, southern India, where an outcrop of dolerite boulders emits loud ringing tones when hit with granite stones. Nicole Boivin of the University of Oxford suggests that shamans might have used the rock gongs during formal rituals. Dating the wear marks in boulders is impossible, but the presence of Neolithic rock art indicates that the site was used for many thousands of years (Antiquity, vol 78, p 38). Imagery such as cave paintings, markings or etchings also provides tantalising clues to how prehistoric humans might have exploited their surroundings to make sound. Iegor Reznikoff of Nanterre University, Paris, has examined the caves of Rouffignac in the south of France and showed that paintings are located where the most interesting sound effects are heard. Devereux, in his book Stone Age Soundtracks, cites numerous other examples around the globe of seemingly premeditated placing of petroglyphs or pictographs, including sites where art is painted on concave rock walls that give distinct echoes. Delighted to see that David Cameron is such a strong supporter of tourism. We have a long way to go to break the cultural snobbery that separates the staples of the UK industry – catering, accommodation, tour guides, campsites, postcards, guidebooks, souvenirs and so on – from middle class respectability. It’s better than it was, but sometimes it seems that the shame of engagement can only be tempered by calling it art, and littering the countryside with half-baked works whose cost might have been more creatively and productively deployed by addressing the needs of tourists instead of interfering with their experiences. Anyway, as Cameron said in his speech yesterday, “Tourism is a fiercely competitive market, requiring skills, talent, enterprise and a government that backs Britain”. This was set in the context of the 2012 Olympics – as was the new visitor centre for Stonehenge when proposed by the last government. What with Snowdonia, Devon and Cornwall, the Lake District, Norfolk, the Inner Hebrides, the Highlands of Scotland, the canals of Staffordshire, Oban, Llandudno, Torquay, Deal, “our historic monuments, our castles, country houses, churches, theatres and festivals… beautiful beaches… national parks, our hundreds of historic gardens and national network of waterways… our museums [including the British Museum, the National Gallery and the [sic] Tate Modern]… Glyndebourne and Glastonbury… the Bristol Old Vic and the Edinburgh Fringe. The Bodleian Library and the Hay literary festival. Ascot and the Millennium Stadium; Nelson’s column and the Olympic Park’s Orbit” – phew! – Cameron had no time to mention Stonehenge. But I’m sure he had Stonehenge in mind, not least when he praised John Penrose, minister for tourism and heritage for the skills he brings to the job. After the Treasury took such pleasure in June in claiming to cancel the Stonehenge project – an action in fact not within its powers – it was sensitive of Cameron to avoid mentioning the stones. So let’s say it for him. • Stonehenge is one of the world’s most recognisable icons of cultural history (“When I asked what England meant to them, the answers went: Stonehenge, Harry Potter, fish and chips…”: Blake Morrison talking to Japanese schoolgirls in 2002). • Stonehenge is one of the UK’s most popular and must-see tourist destinations, attracting around a million visitors a year, of whom 50–60% are international. 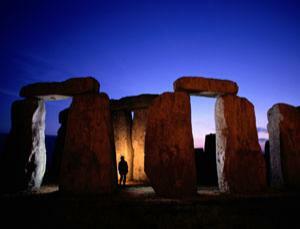 • Stonehenge’s present state has long been agreed by parliament and international commentators to be a disgrace. • An imaginative, creative plan to transform visitors’ experiences – from access and parking to a new museum, toilets and cafe – and Stonehenge itself, by removing roads nearby, has planning consent and is ready to start. • This plan was designed to be cheap and cost-effective by the previous government, after it dropped a more ambitious scheme, and ready in time for the 2012 Olympics. But now that the Treasury has withdrawn its promise of £10m, it needs new sources of funding to happen. • Stonehenge is Stonehenge. 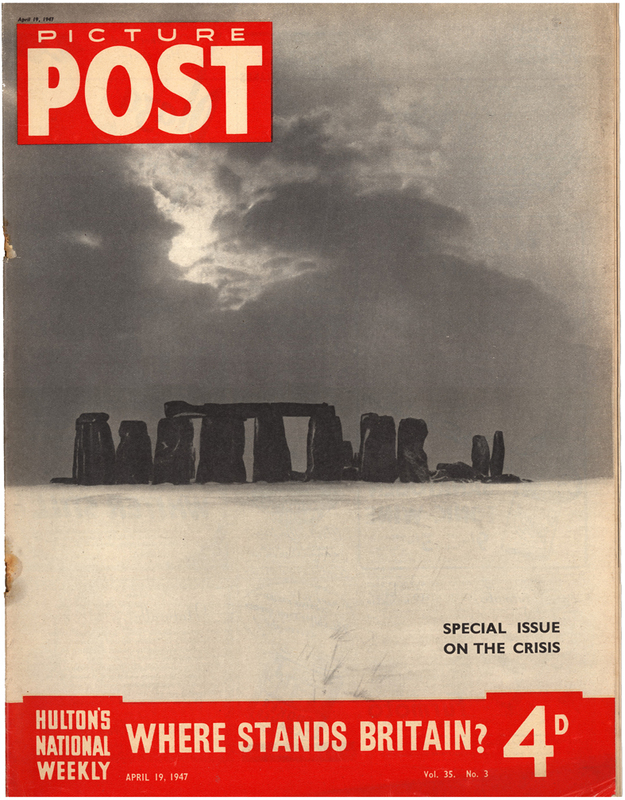 Picture Post put it on its cover in 1947 to lead an issue devoted to the post-war crisis. Stonehenge could now be a symbol for us and the world, of reflection, regeneration and creativity in the face of the modern crisis. Marden Henge no longer has any standing stones and is said to be one of Britain’s least understood ancient sites. “The level of preservation is just phenomenal,” he said. The world’s media has descended on the site throughout the duration of the excavation work. Jim said: “It’s fantastic and I think it really shows how people are engaged with their heritage and their land. It’s really important at this time that archaeology can engage people and give something back. 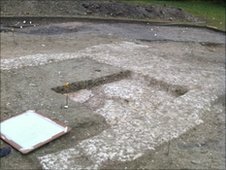 Fellow English Heritage archaeologist, Paddy O’Hara said of the building they uncovered: “It’s just unparalleled. I’ve never seen anything like it at all apart from Skara Brae in the Orkneys. The preservation of this building is just superb. “I was here about a fortnight ago and I was, quite frankly, sort of sceptical. People were saying ‘oh, maybe there’s a building here’, but I really wasn’t convinced. “Just walking up here now, the thought that I could have missed this would have been heartbreaking, as it’s just a fantastic bit of archaeology.